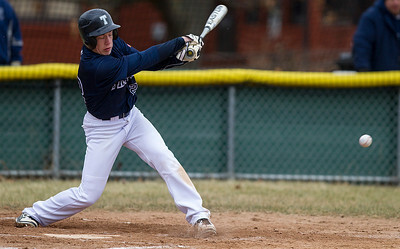 Kyle Grillot - kgrillot@shawmedia.com Cary-Grove junior Willie Hartke hits the ball during the first inning of the boys baseball game Friday in Cary. 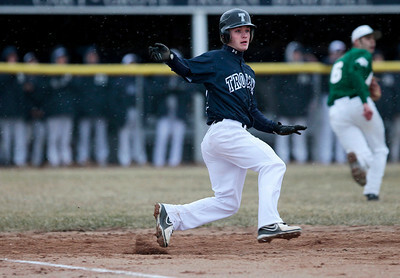 Cary-Grove beat Boylan, 6-1. 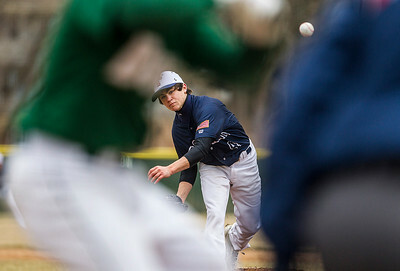 Kyle Grillot - kgrillot@shawmedia.com Cary-Grove junior Larkin Hanselmann pitches the ball during the first inning of the boys baseball game Friday in Cary. 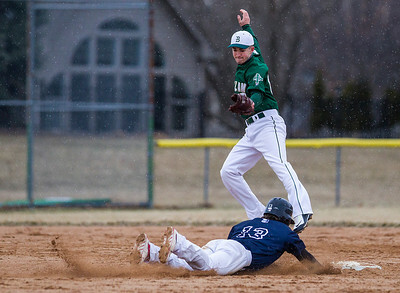 Cary-Grove beat Boylan, 6-1. Kyle Grillot - kgrillot@shawmedia.com Cary-Grove junior Willie Hartke tags Boylan's b;ah b;ah out during the third inning of the boys baseball game Friday in Cary. Cary-Grove beat Boylan, 6-1. 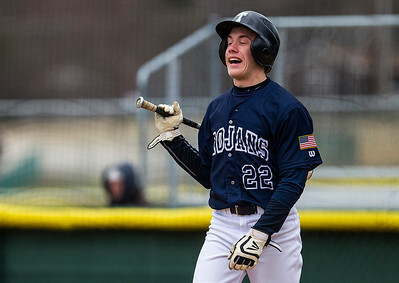 Kyle Grillot - kgrillot@shawmedia.com Cary-Grove junior Matt Sutherland reacts after striking out during the fourth inning of the boys baseball game Friday in Cary. Cary-Grove beat Boylan, 6-1. Kyle Grillot - kgrillot@shawmedia.com Cary-Grove junior Willie Hartke reacts after a strike during the fourth inning of the boys baseball game Friday in Cary. 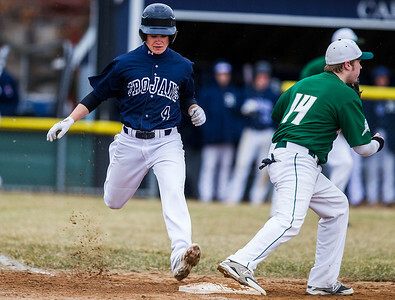 Cary-Grove beat Boylan, 6-1. Kyle Grillot - kgrillot@shawmedia.com Cary-Grove junior Zack Forney catches a fly ball during the fifth inning of the boys baseball game Friday in Cary. 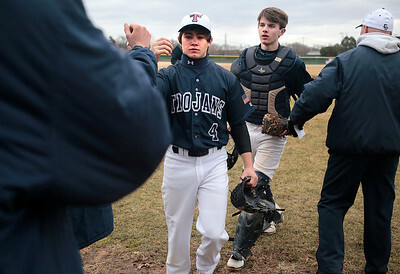 Cary-Grove beat Boylan, 6-1. 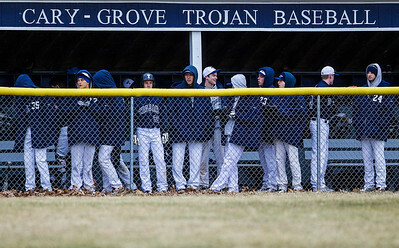 Kyle Grillot - kgrillot@shawmedia.com The Cary-Grove team watches as their teammates bat during the fifth inning of the boys baseball game Friday in Cary. Cary-Grove beat Boylan, 6-1. 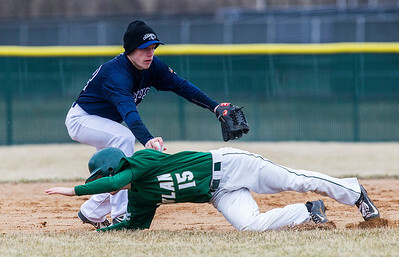 Kyle Grillot - kgrillot@shawmedia.com Cary-Grove junior Larkin Hanselmann is tagged out at first base by Boylan's Dalton Robison during the fifth inning of the boys baseball game Friday in Cary. Cary-Grove beat Boylan, 6-1. 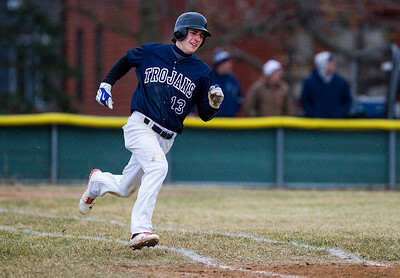 Kyle Grillot - kgrillot@shawmedia.com Cary-Grove junior senior Dean Christakes runs towards first base during the fifth inning of the boys baseball game Friday in Cary. Cary-Grove beat Boylan, 6-1. 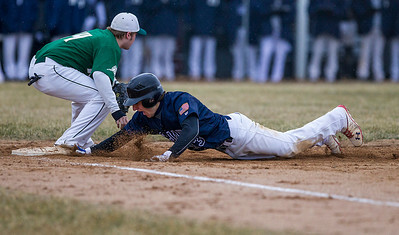 Kyle Grillot - kgrillot@shawmedia.com Cary-Grove junior senior Dean Christakes slides back to first base during the fifth inning of the boys baseball game Friday in Cary. Cary-Grove beat Boylan, 6-1. Kyle Grillot - kgrillot@shawmedia.com Cary-Grove junior Matt Sutherland rounds first base during the fifth inning of the boys baseball game Friday in Cary. Cary-Grove beat Boylan, 6-1. Kyle Grillot - kgrillot@shawmedia.com Boylan's Will Troia attempts to tag out Cary-Grove senior Dean Christakes at second base during the fifth inning of the boys baseball game Friday in Cary. Cary-Grove beat Boylan, 6-1. Kyle Grillot - kgrillot@shawmedia.com Cary-Grove junior Larkin Hanselmann (4) and senior John Gibbons exit the field after the sixth inning of the boys baseball game Friday in Cary. Cary-Grove beat Boylan, 6-1. 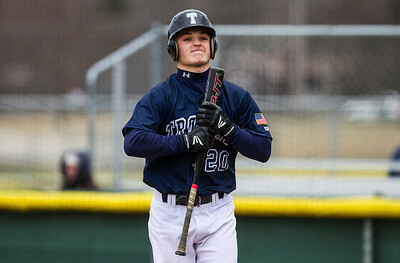 Kyle Grillot - kgrillot@shawmedia.com Cary-Grove senior Andrew Splitt prepares to bat during the sixth inning of the boys baseball game Friday in Cary. Cary-Grove beat Boylan, 6-1. 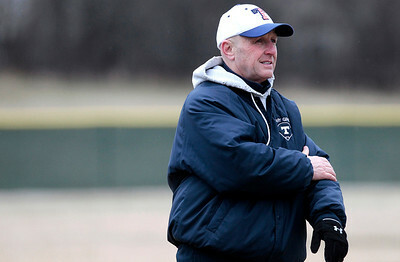 Kyle Grillot - kgrillot@shawmedia.com Cary-Grove head coach Don Sutherland signals to his players during the sixth inning of the boys baseball game Friday in Cary. Cary-Grove beat Boylan, 6-1. 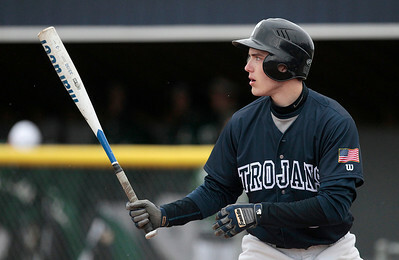 Cary-Grove senior Andrew Splitt prepares to bat during the sixth inning of the boys baseball game Friday in Cary. Cary-Grove beat Boylan, 6-1.